One of the most recent messages read, inter alia: “The population of that area have been living under total terror of Ambazonia terrorists. Our gallant forces have started visiting the terrorists. Ngarum was cleansed of filthy thugs yesterday. …About twenty terrorists…More than 20 local guns recovered, chain saws, bikes, machetes, bow and arrows, 170 voters’ cards, various food stuffs etc etc.” And this was then followed by horrific images of wasted bodies littered all around the battle ground. The images shared on WhatsApp are too graphic to publish here. In fact, they were so shocking that one user in one of the forums asked the person sharing to stop posting anymore of them. Another user wondered why the forum member was sharing the images. His response could not be more candid: “It helps to caution our boys to stop the armed conflict because it is not helping us. Odeshi is not working.” I would hate to second-guess this user’s affiliations. However, his response ties in exactly with the intention of the soldiers who kill the Ambazonian fighters and make sure to take photos of their battered bodies for wider dissemination on social media. The images have their signature: 1) the soldiers always make sure they get shots of the inferior weapons of the fighters (mostly single round muskets). Sometimes, the guns are placed on the chest of the dead hapless fighters, probably for effect. 2) The photos always include shots of the destroyed shrines where war charms are prepared. And if the herbalist was killed he is prominently displayed in the shot. Probably to highlight the impotence of magic in war. 3) The cash of weapons seized and other materials like foodstuff and tools are also included in the photos. Thus, these images are expected to sow terror in the hearts of other and would be fighters and, thus, weaken their moral. Even, many people in the Ambazonian leadership abroad have accused the Cameroon army of killing innocent civilians and planting guns on their bodies before taking the photos. In one of the photos, there is the corpse of a dead lady, semi-naked from her torso downward with only a wrapper covering her modesty. One WhatsApp user was moved to ask: “Do women were also there fighting in wrappers?” Nobody would pick up a gun and go to the warfront dressed in wrappers. What has happened to the Potency Odeshi? The statement made by the WhatsApp user quoted above (“Odeshi is not working “) captures the message that the Cameroon army intends to pass through to current and potential fighters of the Ambazonian course. However, not up to a year ago, Odeshi was the nightmare of soldiers sent to Manyu Division to repress dissidence there. Odeshi is an anti-bullet charm which originates from eastern Nigeria. Adepts of Odeshi believe that it gives its users completely protection against bullet penetration. A kind of mystic bulletproof. It is hard to prove whether this assertion is true or false. However, the fact that Cameroon soldiers were often spotted with a red piece of cloth tied around the muzzle of their guns was evidence that Odeshi was either working physically or psychologically. The red piece of cloth was believed to have the power to counter the shielding effect of Odeshi. However, almost a year after, the Cameroon soldiers can now enter supposed Odeshi shrines without any fear. Is it possible that the army has found an antidote for Odeshi? Is it possible that not every secessionist unit is equipped with the right priest who has the secrete knowledge of Odeshi preparation and application? But what is certain is that the War charms have lost their scare. At one moment it was rumored that the government had sent some agents to Nigeria to learn the secret of Odeshi. 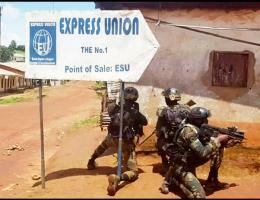 Is it possible that there is now an Odeshi Rapid Intervention Squad within the Cameroon army? Well, it would not be surprising if such a thing actually exists. The gory is now celebrated. The enthusiasm with which we circulate images of death and anarchy is sobering. Indeed, both sides in this conflict have shared images and videos on social media that before now would have caused people to lose appetite for days. These images are reminiscent of the tactics employed by Ahidjo to fight the Maquisards in Bamileke country during the 1960s. Whole villages were razed down. Public executions were the order of the day. Bodies of maqui fighters were left to rot in the open. Sometimes their heads would be put on a stake by the roadside to scare any potential recruits into maquisard. Indeed, it was a macabre spectacle of dissuasion by terror. 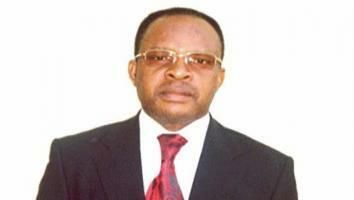 Nowadays, the state security operatives have the support of social media that Ahidjo did not have. And working through surrogates, these images are disseminated to scare Ambazonian fighters and their supporters. The scanty texts that often preface the images shows that they are taken by the soldiers. Each party in the conflict believes their side can win the war. The government is armed with sophisticated weaponry, modern surveillance devices like drones. It can also easily tap phone lines of suspects. The state as well has the money and the covert backing of France. On the side of the Ambazonian fighters their only weapons are single round muskets and occasionally some good riffles seized from government soldiers. However, their greatest weapon is their determination to obtain freedom through independence. And this is a weapon that is hard to destroy. That is why despite the government’s show of force, the number of fighting units is only increasing. There is a famous slogan that Ambazonian activist often chant: “Na how many people Paul Biya go kill? Oh, you go kill we tire.” This chant captures the resolve of the fighters to fight to the very last man standing. Severally, the international community has called on president Paul Biya to open direct negotiations with the dissidents. Even the government itself has expressed the willingness to open a frank negotiation platform. But so far, the best thing they have done, which they called negotiation, was to send Musonge and his National Bilingualism and Multiculturalism Commission to the restive regions to sample public opinion on what they really want. This action was widely criticized by citizens in this part of the country because they believe the government knows exactly what to do. In late 2016, when this conflict had not even gotten to the current level, Barrister Agbor Balla called on the government to open direct negotiations with the people of the SW and NW and to stop being paternalistic. To him such approach would make Cameroon the winner. The main problem in this conflict is the attitude of the government which does not believe in being challenged by citizens. And instead of listening to the grievances of the citizens and taking concrete action they send in troops to beat and maim unarmed protesters. The human cost of this war should already be very clear to the people in power. Battles will be won but no one ever wins a war against his own people. The wounds being inflicted today in this senseless war shall become indelible scars in the future. And when this war is all over, the scars shall remain to haunt the nation, probably forever. So why now stop now and propose concrete solutions devoid of the military show of force currently in place? VIDEO: Legideon Conversations: Schools - To Reopen or Not?